Outlet malls provide the best deals and discounts for designer labels, name brands, and other types of merchandise. San Francisco is no stranger to these high-quality outlet malls. In fact, there are several outlet locations in and around the area that guarantee a whole day of enjoyable bargain hunting. Head out 40 miles east of downtown San Francisco and you’ll find the San Francisco Premium Outlets in Livermore city. This outlet mall has over 180 retail brands to choose from, starting with American household brands like Abercrombie & Fitch all the way to European premium brands like Gucci, Prada, and Armani. You’ll also discover other hard-to-find shops like Longchamp, Timbuk2, and Eredi Pisano. And after a successful day of outlet store shopping, grab a cone of artisanal gelato from Amorino Gelato. Great Mall is one of the largest indoor outlet centers in Northern California, with over 200 stores. It has everything you need right within the 30-acre shopping complex, from jewelry to sports equipment. Numerous well-known fashion and clothing brands have also set up shop in Great Mall such as Saks Fifth Avenue, Coach, Last Call by Neiman Marcus, and Michael Kors. Located in the Wine Country, Napa Premium Outlets is smaller than your average outlet mall, housing just 50 stores of designer brands and labels. You will, however, save from 25% to 65% on merchandise from premium brands such as Adidas, Calvin Klein, Michael Kors, and Tommy Hilfiger. Shop for great finds at Marina Square Center, an outdoor outlet mall that’s 22 miles from San Francisco. 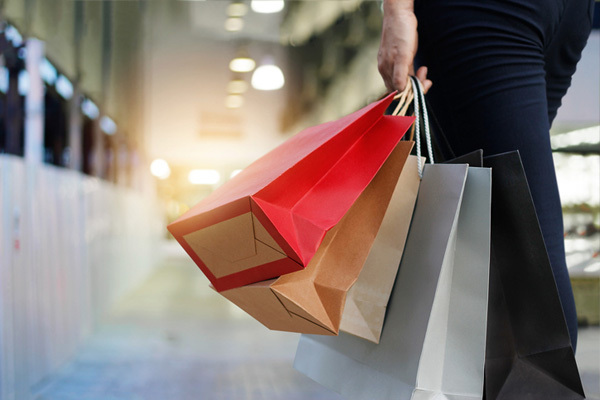 In this compact shopping center, you’ll find a variety of popular retail stores such as Nike, Converse, Bath & Body Works, Banana Republic, and Nordstrom Rack. You can also grab a bite to eat at one of their many restaurants like Panda Express, Mexican Grill, or La Salsa Fresh. If you’re up for an adventure, take a 106-mile drive to Folsom Premium Outlets. Located near Sacramento, California, Folsom Premium Outlets has over 80 shops selling women’s clothing, jewelry, and branded footwear. Some of the notable stores in this outdoor shopping center are Coach, Under Armour, and Vans. Vacaville Premium Outlets is your one-stop shop for all things retail. This large outlet mall boasts of 120 stores selling a variety of items such as designer clothes, premium body care products, accessories, and many more. Vacaville Premium Outlets is around 60 miles from San Francisco. There’s no better place to shop for discounted items than at Petaluma Village Premium Outlets. Located just off the US Highway 101, this outdoor outlet mall has 60 stores such as Saks Fifth Avenue Off 5th, Coach, and Brooks Brothers. These amazing outlet malls are just one of the many reasons why living in San Francisco is the best. Take a look at the many residential properties for sale by calling Bernie and Mike Homes at 415 906 6000 or 415 308 4281.